Our capabilities statement is provided below to help procurement officers understand how Shockingly Different Leadership can best provide essential services to their governmental entities. 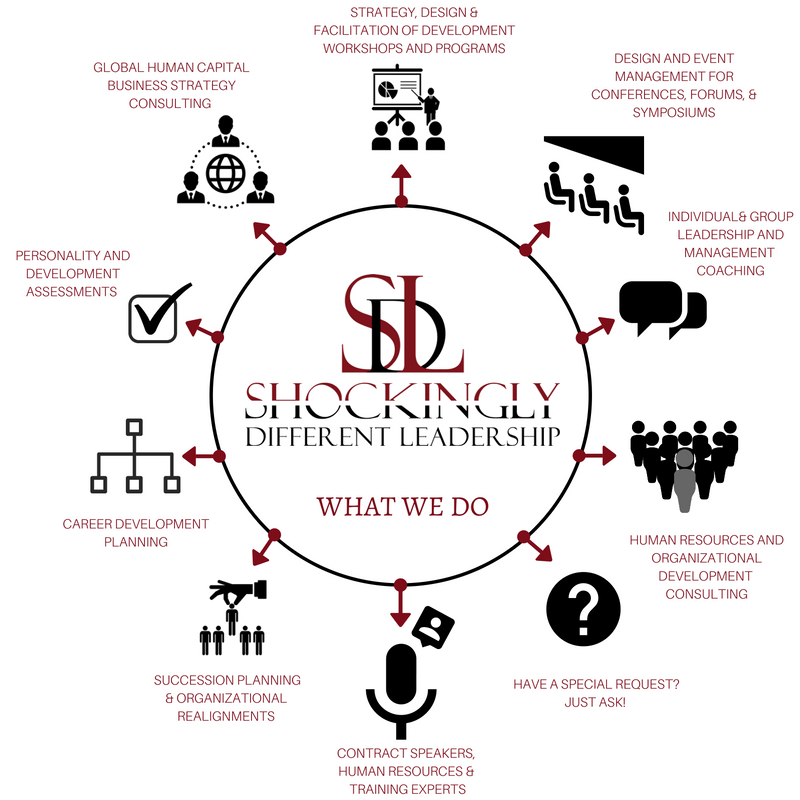 Capabilities Statement Overview: Shockingly Different Leadership is a talent development and HR project support consultancy that helps organizations solve the problem of quickly locating trusted expertise to help them get their “people projects” done. We partner to implement practical ways for individuals to be more effective in the workforce in a way which both excites them and delights their employer. We would be pleased to discuss how to best partner on your next contracting opportunity. Contact us today. We are just a phone call away.ies. We actively seek subcontracting and teaming opportunities.